Strong concentrations of lightning zapped the power from over 15,000 homes in Dungog, Australia during a freak storm on 14 March 2016. A bolt of lightning (shown below) struck the Essential Energy’s Stroud sub-station, causing outages to customers across the upper Hunter and lower Mid North Coast. A spokesperson from Essential Energy stated: “The unplanned outage affected 14,200 customers from 5:20pm in Dugong, Stroud, Gloucester, Bulahdelah, Seal Rocks, Pacific Palms, Coomba Park and all surrounding areas.” It took 3-6 hours for utility workers from the company to restore power. When people think of severe weather, they often forget to think of the impact storms of this magnitude have on utility companies and workers. With advanced weather alerting, utility companies like Essential Energy could have prepared for this large concentration of lightning in the Dungog area and cut down on restoration times. The video below, powered by Earth Networks Total Lightning Network tracks two major storm cells (the different colored circles) in the area during the time of the outage. The purple polygons signify Dangerous Thunderstorm Alerts, which are sent out by Earth Networks to warn people of approaching cells with high amounts of lightning. The picture below shows all of the lightning in the area during the afternoon and evening hours of 14 March as well as the early morning hours of 15 March. The purple strikes are in-cloud lightning while the yellow strikes are cloud-to-ground lightning. 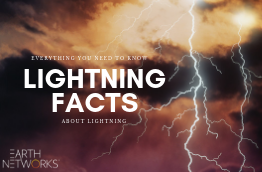 During this time period there were over 10,000 strikes of lightning. 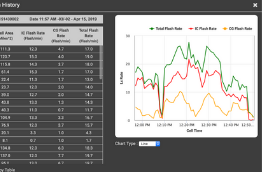 The highest concentration of lightning in the video below matches up with the time of the power outage. You can see that the lightning grows the strongest over the Dungog area between the hours of 5am UTC and 8pm UTC, which translates to the local hours of 3pm-6pm. 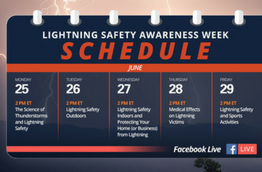 Knowing when lightning is on its way is important not only for individuals but also for utility workers and first responders as well. Having extra time helps these professionals prepare to answer calls faster and be safer while doing their jobs.